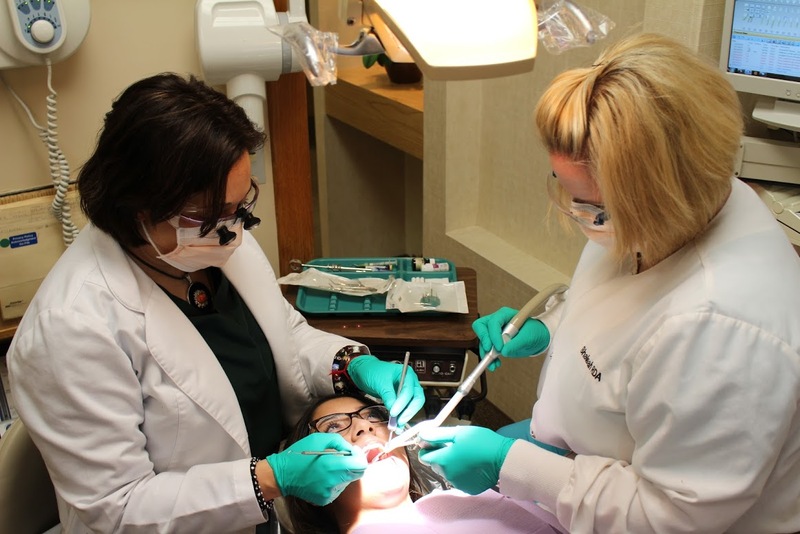 Our mission at Eden Dental Center is to provide you and your family with a full range of General, Cosmetic and Implant dentistry solutions that are state-of-the-art, affordable, convenient and comfortable. Dental implants are like tooth roots permanently implanted in the jawbone. The first ones were placed back in 1964 and since then there have been vast improvements in their design and techniques. They’re made of titanium, a substance that is very compatible with bone, so that the jawbone grows around them, making them part of itself. They look like small cylinders with grooves for the bone to grow into, and they come in different sizes. Tooth roots support the bone around them, so when they’re missing, the bone gradually deteriorates and disappears. This is known as bone resorption, and can have a drastic effect on your facial shape. Dental implants are an excellent way to preserve that bone tissue, and give you a new tooth, or even an entire set of new teeth, as well. It also allows you to maintain the natural shape of your face and smile. As expert restorative and cosmetic implant dentists, Dr. Sylvester and Dr. Vilderman both have special accreditation in implant dentistry.